In 2009, acclaimed scientists, leaders in industry, and environmental champions launched the International Seafood Sustainability Foundation (ISSF) based on shared concerns about the future of tuna fisheries and a desire to do something about it — together. In sharing our new Strategic Plan, we reflect on our results to date, with an eye toward our future goals and the journey toward sustainable fisheries. Science, not politics or profit, drives the International Seafood Sustainability Foundation. More than 70 percent of our budget goes toward original, collaborative research by leading marine scientists across a wide range of fields. Our research leads to policies and practices that promote better fishery management. Our success depends on the diversity of our stakeholders: scientists, NGOs, governments, and foundations, as well as fishing, processing, retail, and food-service companies. Working together, our stakeholders develop science-based policies and practices that get proven results. ISSF is unique in uniting a long-term vision of conservation with a businesslike concern for accountability and results. Support from conservation-oriented foundations balances the support we receive from industry. Scientific institutions, NGOs, and fishing companies provide in-kind support as well as financial backing. All of our sponsors respect our independence. No supporting organization controls our policies, our practices, or the findings of our research. ISSF values the interests and expertise of all of our stakeholders: scientists, NGOs, governments, and foundations, as well as fishing, processing, retail, and food-service companies. When our stakeholders disagree, we help them find common ground. The Marine Stewardship Council (MSC) sets the most widely recognized standard for fishery sustainability. 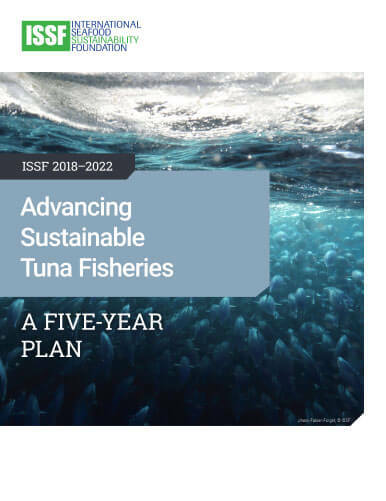 Fisheries work with ISSF to bring their tuna-stock, ecosystem, and fishery-management performance up to MSC expectations.